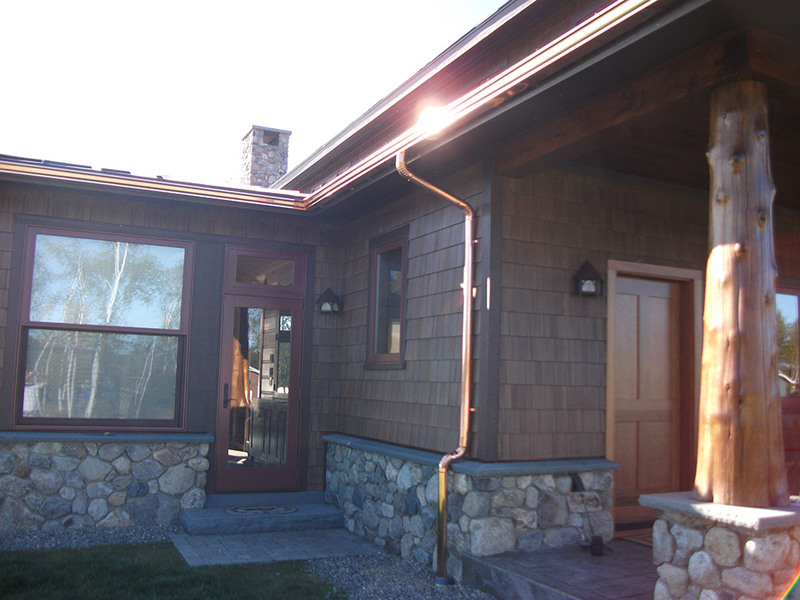 Copper Gutters and downspouts add distinctive beauty and detail to a homes exterior. 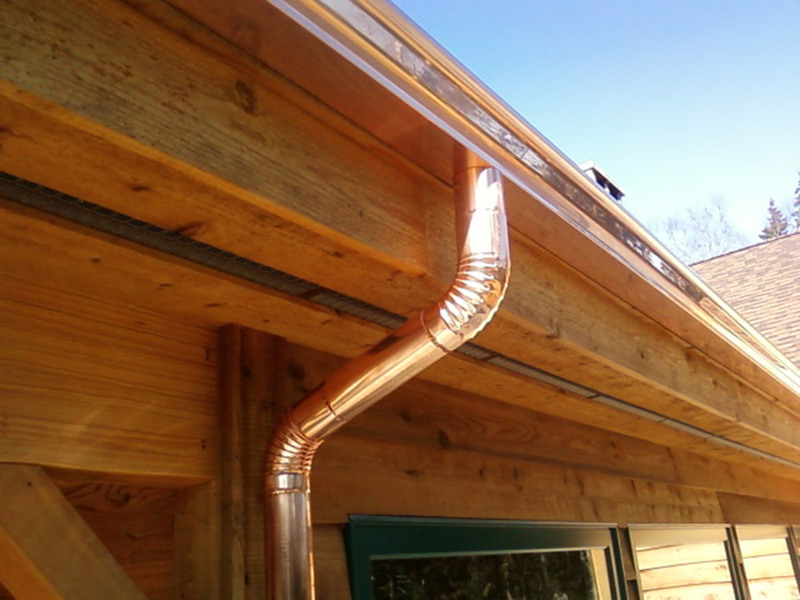 When first installed, copper gutters have a bright shiny surface. Over time the gutters form a copper oxide patina. The patina has a rich deep appearance, which acts as a protective coating. The patina adds to the longevity of copper gutters for timeless beauty that will last for generations. 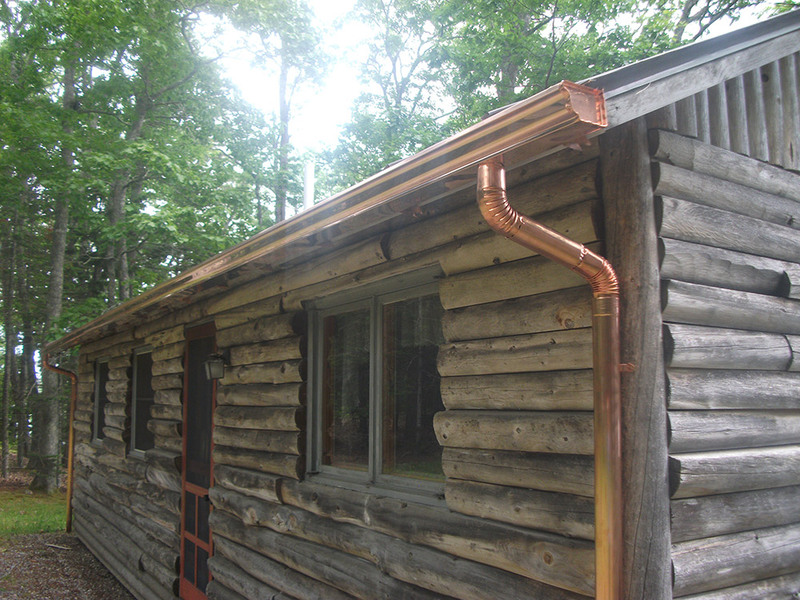 Copper gutters are available in seamless K-style in both 5-inch and 6-inch sizes. 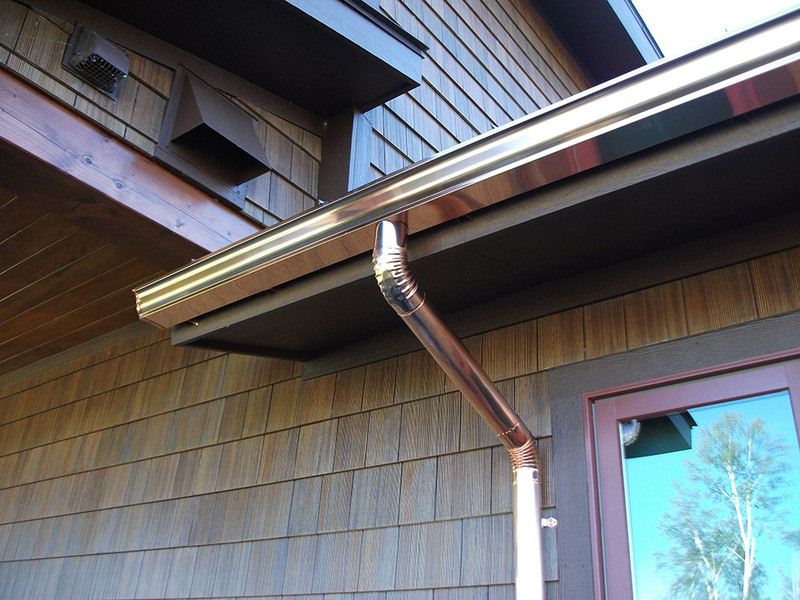 Copper gutters are also available in seamless half, round having a classic old world appearance. A variety of decorative accessories are available for use with copper gutters, from decorative hangers to large ornamental conductor heads. 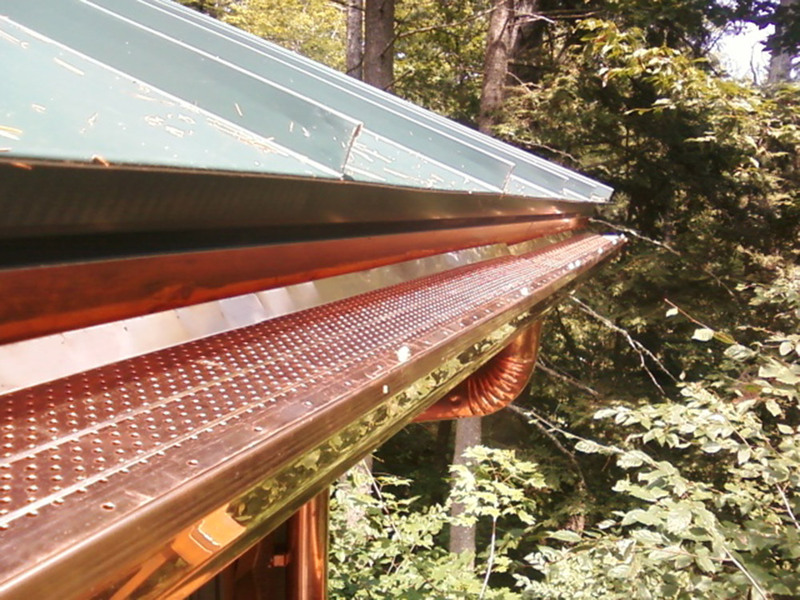 Choose Gutter Service Of Maine LLC to install your copper gutters. As well as installing seamless copper gutters, we have a well-equipped sheet metal shop to manufacture custom parts and accessories.